Finland is the easternmost and least known of the Scandinavian countries. There is a debate on whether Finland should be considered part of Scandinavia or not, due to historical reasons, but regardless, this country has a lot to offer. If you’re a nature lover, you’ll love Finland! Unlike its neighbors (Sweden, Norway and Denmark), Finns speak a language of their own, which is totally different from the other Scandinavian languages that all very similar to each other. Finland isn’t a monarchy, is the only Nordic country to use the Euro as a currency, and has its own national airline, Finnair. Culturally, however, it’s very similar to the rest of Scandinavia. Let’s see why Finland should definitely be on your bucket list of Nordic countries to visit! 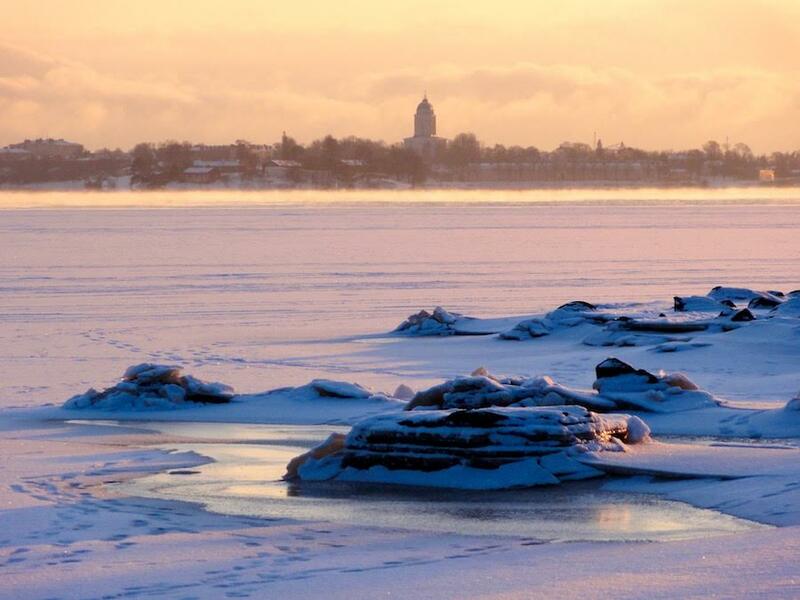 Most visitors arrive to Finland via Helsinki, the capital city on the south coast. Allow a few days to visit this beautiful city and some of its very special attractions. Helsinki’s city center is small enough to explore on foot (some people say Helsinki is neither a town nor a city). Wander the historical neighborhoods of Eira, Ullanlinna, Punavuori, Kamppi, Töölö, Kruununhaka and Katajanokka to enjoy colorful Art Nouveau style houses and their many unique details. 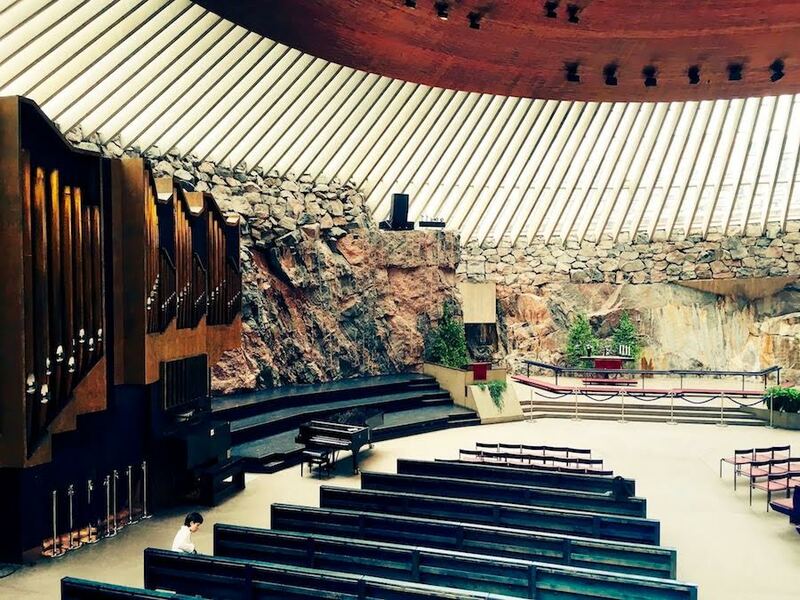 In Töölö have a closer look at the interesting Rock Church (Temppeliaukion kirkko), carved inside the granite and with amazing acoustical features. Then, get inside the interesting wooden Chapel of Silence in the middle of Kamppi’s hustle and bustle. In Katajanokka, spot the huge ice-breakers waiting for the winter to come (if you are visiting in summertime). Have afternoon coffee with a generous Finnish pastry at Café Ursula on the seashore in Ullanlinna, contemplating the big ferry-boats cruising the Baltic Sea in front of you. 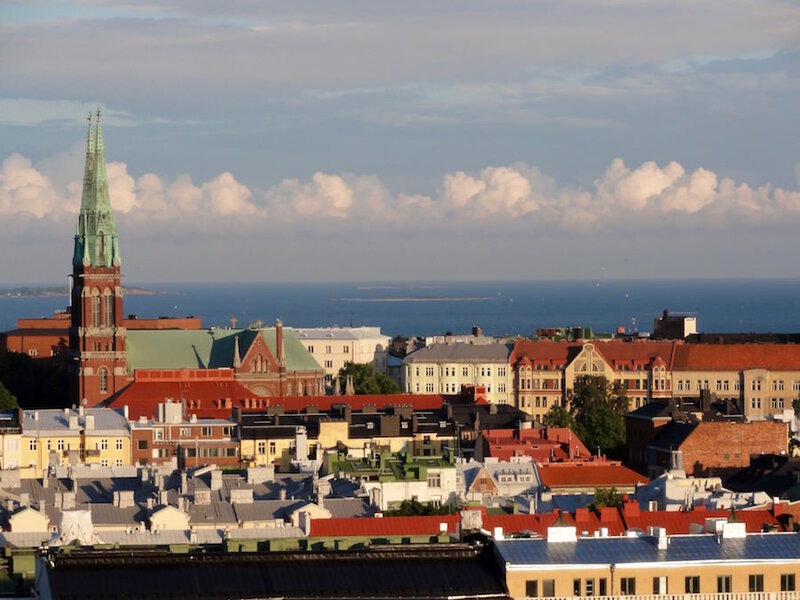 Helsinki also provides great opportunities to experience new Nordic cuisine, with four Michelin-starred restaurants and dozens of small intimate restaurants. One of my favorites is Kuurna, in Kruununhaka. When the sun begins to set, head to Ateljee Bar on top of Hotel Torni for stunning 360-degree views of the city. To reach further districts, public transport is very efficient with trams, buses, ferries and the world’s northernmost metro line. The Suomenlinna sea fortress, which is a UNESCO World Heritage Site, is a must-see, and is 15 minutes away from the city center by ferry. The open-air (and free) museum on the very green Seurasaari island next to the President’s official residence is nice to visit – you’ll find lots of locals here. It can be reached by bus (line 24) and a long wooden bridge. You should also catch a tram (line 1) to the old wooden neighborhood of Puu-Käpylä. Hipsters will head to Kallio (metro station Hakaniemi) with its numerous bars, pubs and a very laid-back atmosphere. In the middle of Kallio, don’t miss the hidden gem of Torkkelinmäki. The region around Helsinki is Finland’s most populated one, home to the country’s three biggest cities: Helsinki and its suburbs, Tampere and Turku. The climate is relatively mild for the latitude, with warm summers (around 20 °C) and a lot of light from May to August. The winters are rather cold with temperatures between +5 °C and -20°C, and very little light especially in November and December when the permanent snow cover hasn’t usually settled yet. Summer is by far the best season to visit, peak season being July. 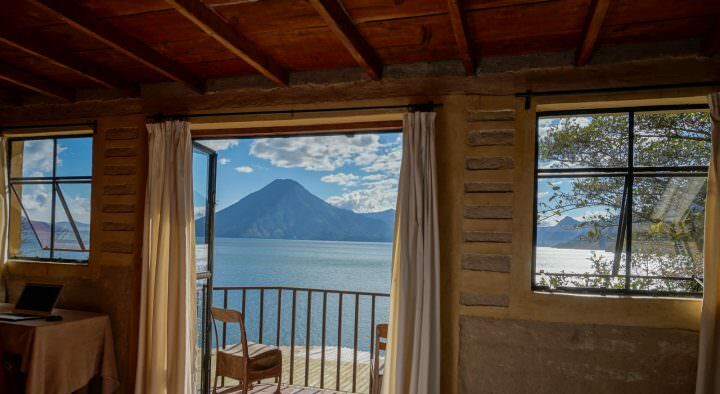 For a different experience, come in the middle of the winter (mid-January to late February) when weather is normally at its coldest with beautiful snowy days and more sunshine than in early winter. Turku and Tampere are each worth a one-day trip and easily reached by fast train (Pendolino) or by car via a freeway ride of approximately 2 hours for both cities. Turku is west from Helsinki and Tampere is northwest. Turku has a nice European vibe around the Aurajoki river (it was Finland’s capital until 1812), whereas Tampere is an old industrial city with beautiful factories made of red brick. Don’t miss the rotating restaurant in Näsinneula and the charming district of Piispala. On your way to Tampere, stop at Iittala factory to witness some real glass-blowers at work. Make sure to check the opening hours on Iittala’s website as they have a summer break during which the factory is shut down. Closer to Helsinki, just a half an hour by car to the east, is old Porvoo, a must-see. This is one of Finland’s very few old wooden towns that survived wars and fires, with the oldest houses dating back from the late 1700s. This less visited region has many interesting places to go and is home to one of the world’s most special archipelagos, with more than 40,000 islands and islets! Take a big ferry-boat from Turku to Mariehamn in the Åland islands where people speak Swedish even though the islands are part of Finland. Due to historical reasons, Swedish is Finland’s second official language, with approximately 5% of the country’s population using it as their main language. The best way to discover Åland’s main islands is by bike. Another way to experience the Finnish Archipelago is to circle the Archipelago Ring road (Saariston rengastie), starting from Turku for example. You can do it by car or by bike if you have enough time. Hopping from island to island is easy with free ferries that are part of the national road system. 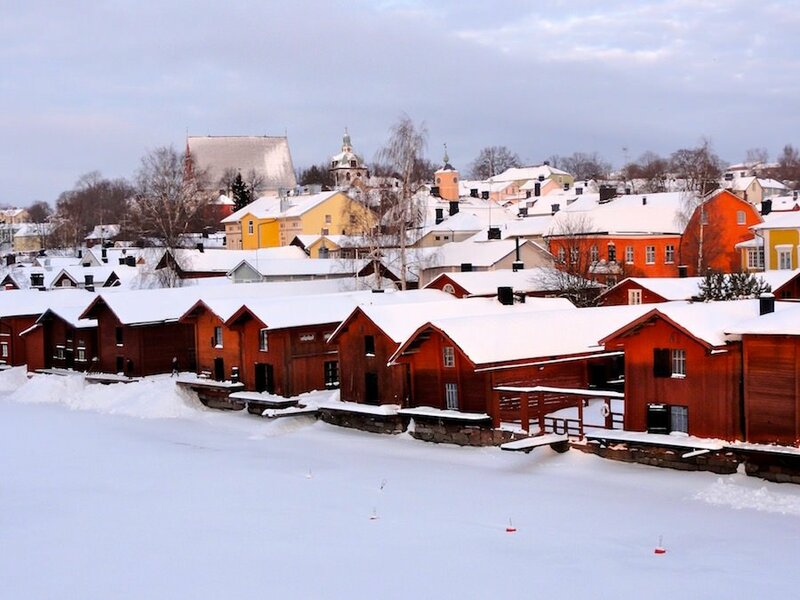 In Western Finland you can also visit old Rauma, a UNESCO World Heritage Site, similar to old Porvoo but a bit bigger. I tend to prefer old Porvoo though, as its hilly configuration gives a better overall picture of the place and is much easier to get to for most visitors. If you are in the region, continue north to Yyteri beach near Pori. This remote and vast sandy beach with its grassy dunes is Finland’s most beautiful beach. This may be the region that better describes what Finland is all about: endless forests and lakes! 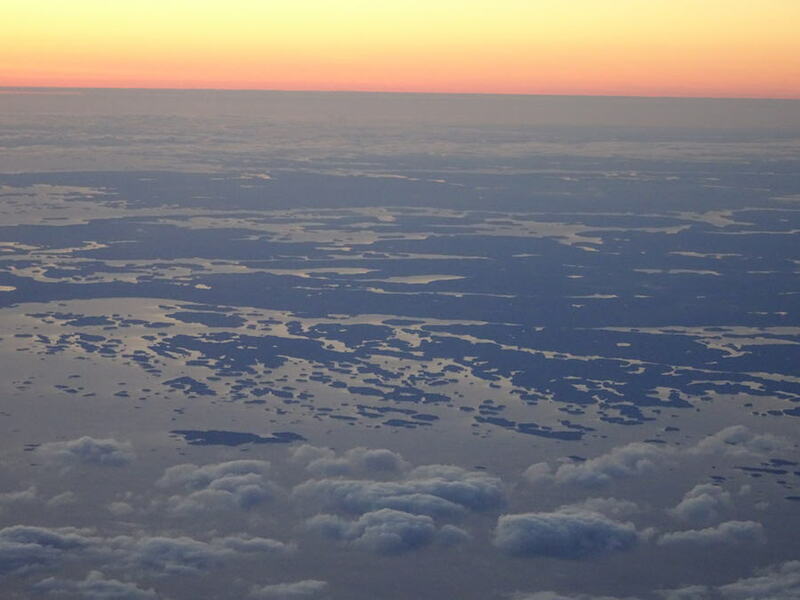 There are more than 180,000 lakes spread all over Finland, with the majority of them located in the eastern part of the country. Rent a traditional wooden cabin somewhere in the woods and enjoy a wood-heated sauna, grilling sausages, drinking Finnish beer, fishing, bird spotting, berry picking and watching endless sunsets. In the wintertime, one of the best things to do is to witness the incredible Northern Lights. Click here for some travel tips to make your Northern Lights experience more enjoyable. In Finland there is a law called jokamiehenoikeudet, which means anyone has the right to wander the forests and pick food that grows there, which is mostly billberries, huckleberries and delicious mushrooms. For a posher cultural experience, book tickets (well in advance) to Savonlinna’s opera festival taking place each summer in a massive fortress built in 1475. 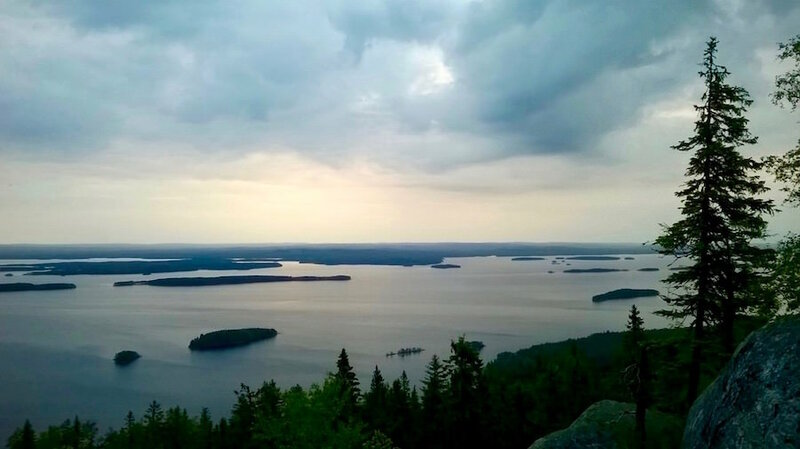 Further east you can also drive to Koli, which has breathtaking scenery on top of Mount Koli, and to the EU’s easternmost point on the Russian border, where you can see Russia on the other side of the lake. Visiting Finland’s northernmost and vastest region is an experience of its own, with many tourists tending to visit Finland or Lapland (which stretches out across Finland, Sweden and Norway as well). The best way to travel here is to rent a car from Helsinki and discover the whole country at your own pace, including Lapland. The fastest route from Helsinki to Rovaniemi takes approximately 10 hours to drive. In winter it’s preferable to take the train or a plane (in addition to Rovaniemi, you can fly directly to Ivalo and Kittilä). 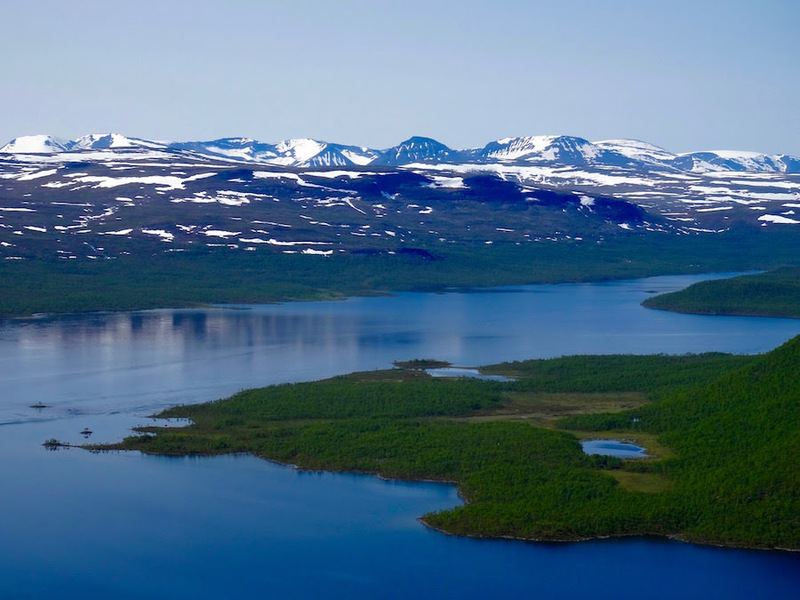 Nature lovers will head to Lapland’s many national parks for unforgettable treks in the wilderness. There are trails of all possible lengths and for all levels of fitness – from a few hours’ walks to multiple day, overnight treks. 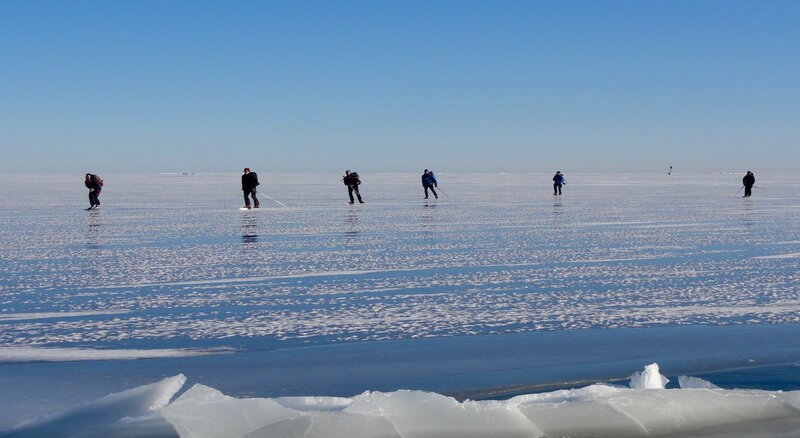 Cross-country skiing can be done anywhere and there are also ski stations for alpine skiing. But, don’t expect the feeling of high mountains like in the Alps, as Lapland is much flatter. Lapland also is the perfect destination for kids, with Santa, the reindeer, the huskies, the snow, the igloos…it truly has it all. For more details have a look at my article about Lapland. 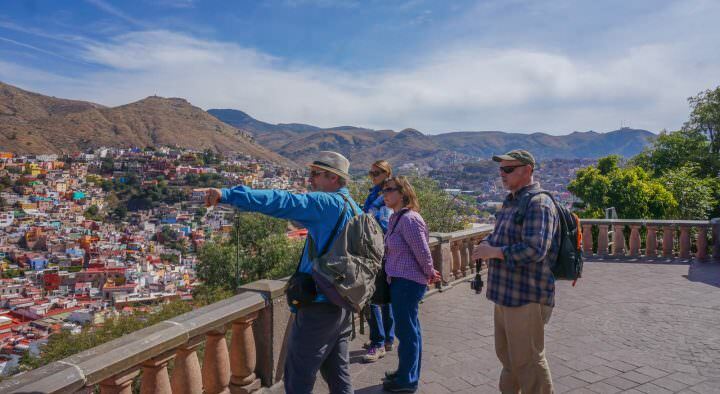 Always looking for the best and paying attention to the details that make a travelling experience unique. 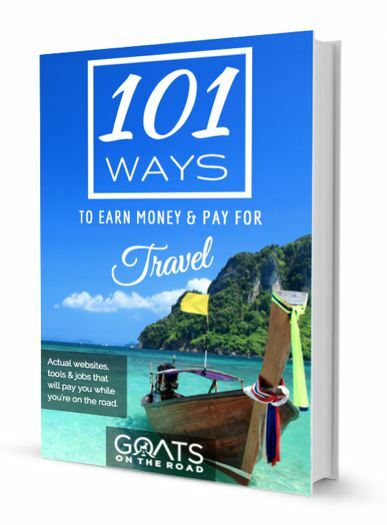 My goal is to inform you about everything I experience during my trips: airlines, hotels, restaurants, destinations. Specialized in upscale travelling and Scandinavia, I am open to all kinds of travel experiences…as long as there is access to a comfy bed and a shower in the morning. 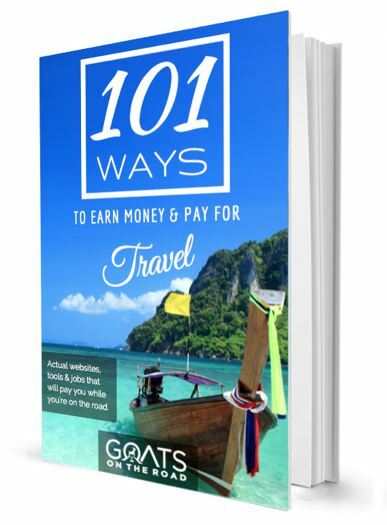 To ensure unbiased reviews, thepickytraveller will remain anonymous. 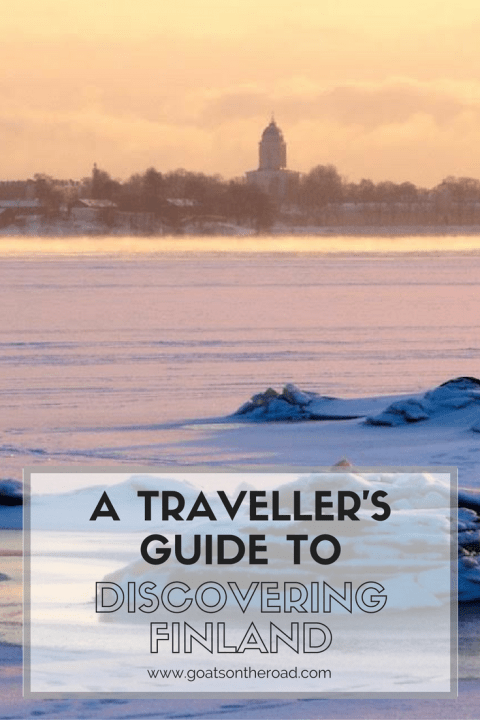 As a Canadian, Finland intrigues me … thanks for a great preview to this Scandinavian country! As a Finnish I would love to recommend one place: Fiskars village at Raasepori (Raseborg). Raasepori is only max. 1 hour or about 90 km away from Helsinki and there you get easely with car or trains Intercity and Pendolino. The distance is about the same from Turku too. The main railwaystation is Karjaa (Karis). To Fiskars you can get with bus from Karjaa in about 15 minutes only. Trust me, it’s gonna be a nice break from Helsinki’s husttle. I’ll be honest: at the summertime whole Raasepori is so alive and pretty, and there is tourists at Fiskars (specially from Asia). Winter is more quiet. Fiskars village is known for The Fiskar’s Orange Scissors and nowadays it’s concentration of artist work: there live so many graphic designers, visual artists and artisans, for example a glassblower, blacksmith and ceramists. There is also a great historical museum about village’s life in it’s early days. I recommend that if you are staying a while at Fiskars stop in your way to there at Karjaa and get some grogeries for picnic. There is few nice places to eat lunch but not too many – it’s still a tiny cute village. If your are exploring Raasepori and Fiskars without a car don’t be in rush. Those busses exist but public transportation is a little lack of links – I mean that there could be a hour waiting time for next buss or so depending the season and what time is it – if you are use to Helsinki’s puclic transportation I must warn you: no busses or anything at night time. Just taxis. Locals use mostly, almost only their cars and teenagers their scooters. I must say that Raasepori is very cozy. It’s known for nature, local food product’s and slow food -ideology, ironwork’s (Fiskars and Billnäs) and laid pack feeling so I can say there is all-around atmosphere is relaxing. 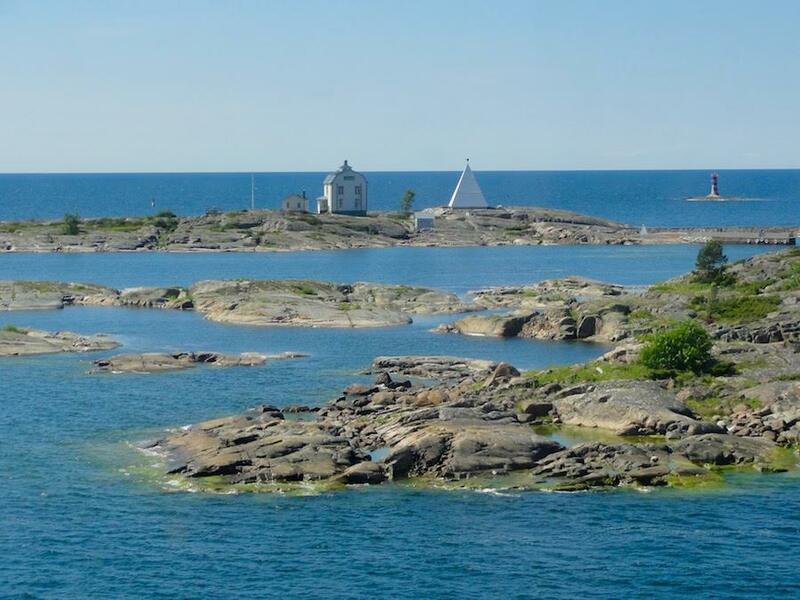 Nature is uniquely multi-faceted: there you can enjoy seeing fields and forests, lakes, rivers and even archipelago and a coast with sea view. Local, near-by-growd food is a huge thing there. Because of that Raasepori is “hometown” for Culinary Team of Finland. It’s bilingual area: you hear both Finnish and Swedish there. Raasepori is the area which includes Pohja (and Fiskars village), Karjaa (and Pinjainen/Billnäs old ironworks neighborhood), Mustio and Tammisaari. You can see Raasepori’s Castle Ruins about 10km away from Karjaa. Tammisaari’s old town, shops and seaview is nice daytrip-things to do too. And one strong one recommendation if you prefer something classy and fancy to eat and see: you must go to Mustio (Svartå) to see Svartå Manor. It’s a hotel, restaurant, museum and a park. Major’s buildings is from late 1700-century. From Karjaa to Mustio is 15km, Tammisaari is about 20-25km away and Finland’s South Point Hanko is great summer town about 50km distance from Karjaa. Again, if you are not with car: to Tammisaari and Hanko you can get with local train “trainbuss” from Karjaa station. Oh my how bad my English is pardon about that! Just being so in at the subject!